Comic book superheros are all the rage right now, whether it’s Marvel and its ongoing cinematic universe, or DC and its attempt to do the same, comic book films dominate the box office. The medium has even slowly crept its way into video games and shows like Netflix’s Daredevil. There are a handful of beloved comic book stories that have yet to be tapped into, and that quickly needs to change for various reasons. One of the most obvious choices for Warner Bros. and DC has to to be the Justice League: The Tower of Babel storyline. For those uninitiated, The Tower of Babel takes a look at what happens when Batman’s hidden records concerning the strengths and weaknesses of his allies in the Justice League becomes compromised. Ra’s al Ghul steals these files and uses them to defeat each member one by one, from Superman to Aquaman. Not only is The Tower of Babel’s premise engaging, it is also one of the best Batman stories ever told. It really delves into what the Dark Knight is truly capable of, and that no matter how much he tries to play nice, he is still ultimately a lone wolf. This story would work well as a film, and even as the basis for Arkham Knight developer Rocksteady’s future sequel to an eventual Justice League game. As a movie, this will probably end up being a part of Warner Bros.’ and DC’s third phase of films. It can certainly be the equivalent of Marvel’s upcoming Avengers: Infinity Wars flick for DC. And Ben Affleck’s version of Batman, a veteran who’s suspicious of other heroes and wary of what they’re capable of, would complement this story nicely. As a game, this will be the perfect end to a potential Justice League trilogy from Rocksteady. Arkham Knight is littered with Easter Eggs about Superman and other DC superheroes, so much so that it would actually be shocking if Rocksteady doesn’t make a Justice League title next. The developer also knows how to build a game around Batman, and it’ll be fitting to solely play as him again as he tries to save his allies. Now on the Marvel side of things, Old Man Logan is one of the best Wolverine stories to date, and indubitably one of the more original ones as well. It has been rumoured that the upcoming third, and Hugh Jackman’s final, standalone Wolverine film is slightly based on Old Man Logan. If true, this storyline is the best way for the actor to bow out of this role, and hopefully end things on a positive note. 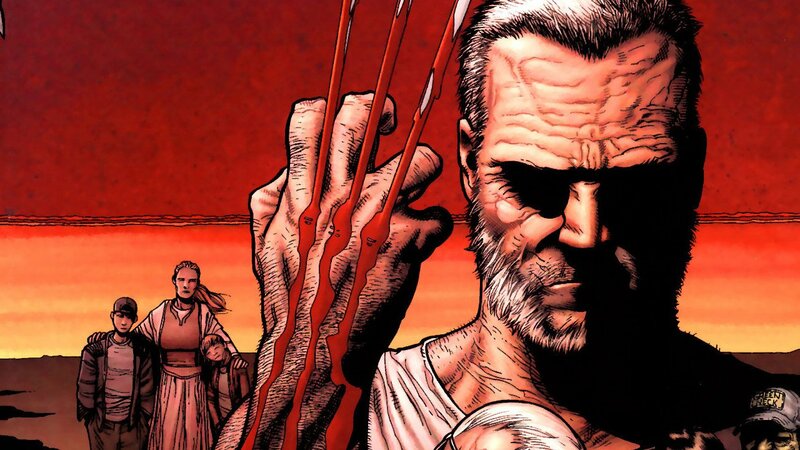 Old Man Logan would also work well as a video game, especially if the license was given to a developer capable of producing satisfying hack-and-slash gameplay. Developer Platinum Games is the best choice, as the studio has proven time and time again that it knows how to make a fantastic action title — Bayonetta 2, and Vanquish are prime examples, and if there’s one thing that a Wolverine video game needs, it’s great action. There’s also the fact that Marvel has had issues in the video game realm as most of them have been poor, with the Lego Marvel games being the only consistent exceptions. Old Man Logan can be an exciting fresh stroke on a potential new slate of Marvel video games, and it would be completely different from what DC, Warner Bros., and Rocksteady have been doing with the Arkham games. 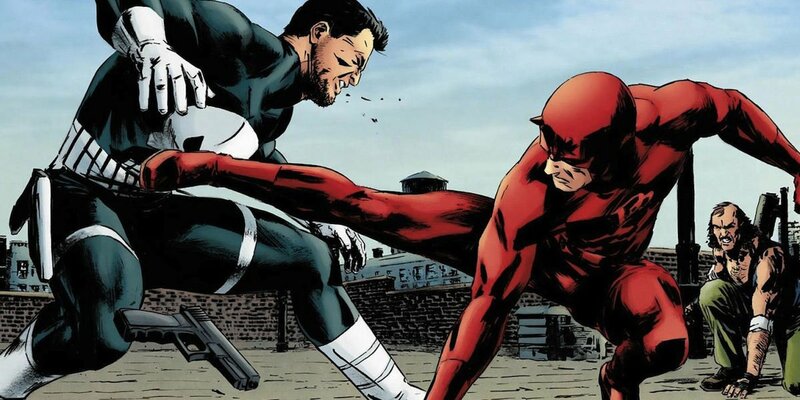 Now finally, with the recent announcement of The Punisher joining the Daredevil series, a prequel for the character is a no-brainer, especially if it will be based on the character’s best story: Born. Released in 2003, this graphic novel focuses on Frank Castle and the gruesome time he spent on his third tour in Vietnam. Posttraumatic stress disorder, hints at a deal with the Devil, and the last days spent with his family makes Born not only a fantastic examination of The Punisher, but arguably one of the best stories Marvel has ever told. And for the show, since it takes place in present day, it can easily be about the never ending war in the Middle East instead. The character will presumably be the main villain in Daredevil’s second season, and viewers will need to understand The Punisher and his motivations. He can be the antagonist at times, and also the hero. Plus, fans need something substantial to wash away the bad taste both the 2004 The Punisher film, and 2008’s Punisher: War Zone left. So, these are the three comic book stories that need to be retold, and reintroduced. And if there’s enough care and attention put into these three projects, the result will certainly be something quite special. Like comics? Be sure to check out the latest issue of CGM for tons more comic content.